Former Defense Minister backs Yair Golan's controversial statements, blasts Netanyahu. 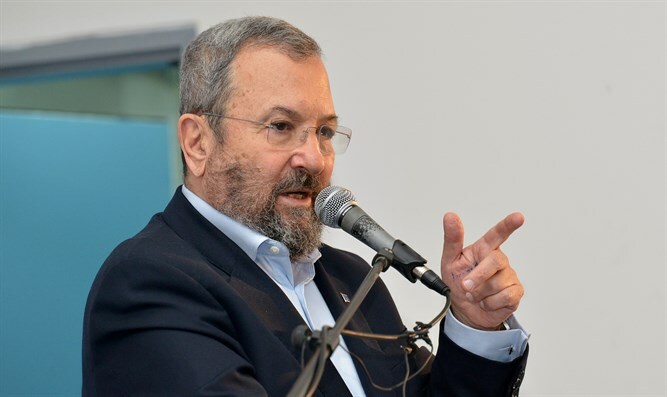 Former Defense Minister Ehud Barak on Tuesday slammed Prime Minister Binyamin Netanyahu and backed Major General Yair Golan and his 2016 speech in which he hinted that he sees in Israel evidence of the same processes that occurred in Europe before the Holocaust. "The government of Israel and its leader have surrendered to Hamas. They are not leading a clear policy that has a strategy. I am unable to follow the government's zigzags. Hamas is playing a cat and mouse game with Israel with embarrassing success. Hamas is leading and initiating. Meanwhile, Israel has weakened,” Barak said in an interview on Reshet Bet radio. The former Defense Minister also discussed the firestorm surrounding Major General Yair Golan and his candidacy for the chief of staff. 100 bereaved families sent a letter this week criticizing Golan’s candidacy for the position, noting a series of controversial statements he made in the past, including the controversial 2016 speech which he made on Holocaust Memorial Day. "Those in 2018 who do not see that in 2016 Yair Golan told the truth and it is becoming reality before our very eyes are blind, playing dumb or are dark, messianic racists who have stopped looking at reality and are living according to their ideology,” charged Barak. The former Defense Minister has repeatedly blasted Netanyahu and other members of the government. More recently, Barak turned his criticism toward the Jewish Home party, describing its vision as “racist and messianic”. Jewish Home leader and Education Minister Naftali Bennett later fired back and said, "The national tweeter with his daily provocation; you keep on tweeting, we'll keep on leading." Despite the ongoing spat between Netanyahu and Barak in recent years, Barak split the Labor party in 2011 and formed the short-lived Independence party so he could continue to serve as Netanyahu's Defense Minister.